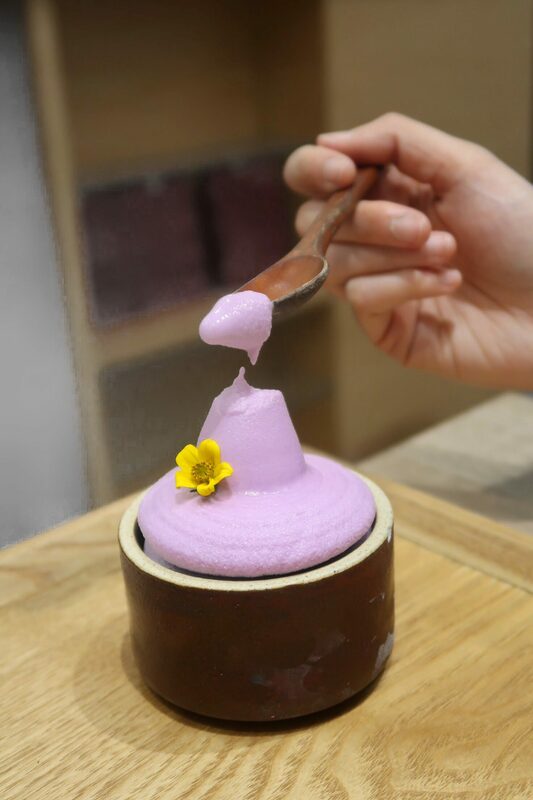 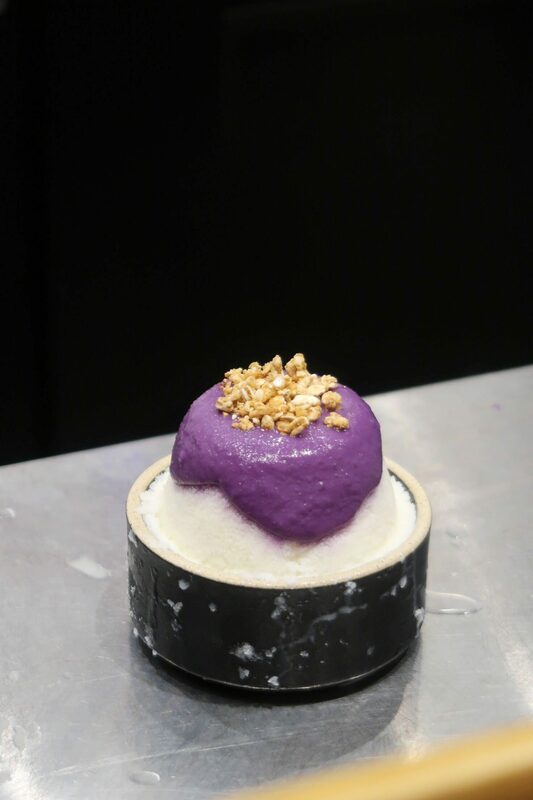 Bora means purple in Korean, and this Korean dessert cafe has the most aesthetic and beautiful purple desserts made out of purple sweet potato. Cafe Bora is actually a Korean dessert chain with locations across the globe. 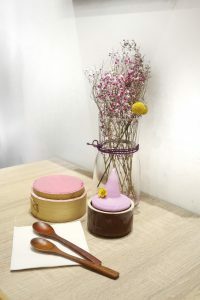 I went to their Seoul location when I was travelling in Korea a few years ago, and I immediately fell in love with their pure and natural purple sweet potato tiramisu. 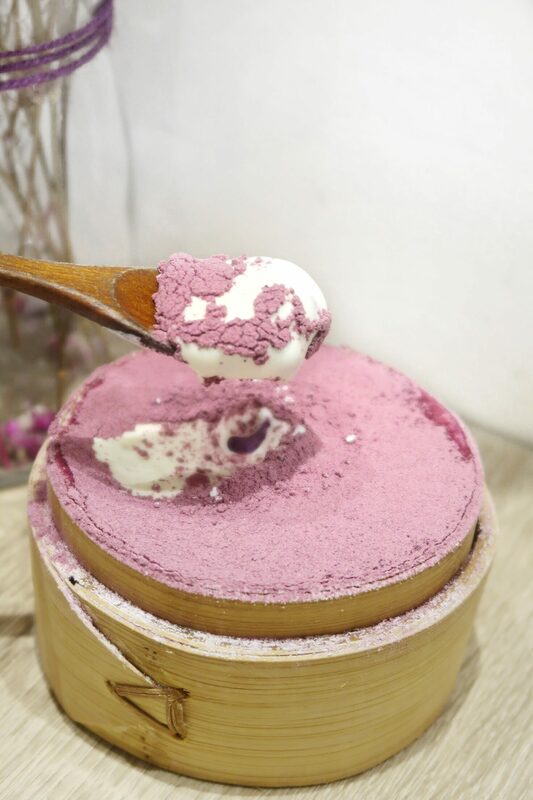 So… I just had to order it again because it was so good! 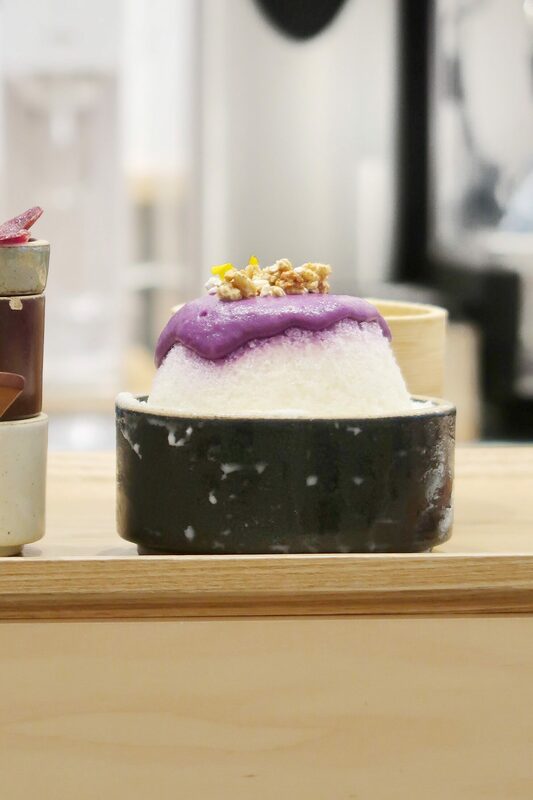 Tiramisu is triple layered with an airy sponge cake, their signature sweet potato puree, a cheesy cream, and finishes off with dust of the purple potato powder on top. The cream was rich and has a nice consistency that highlighted the subtle and not too sweet flavour from the purple sweet potato. 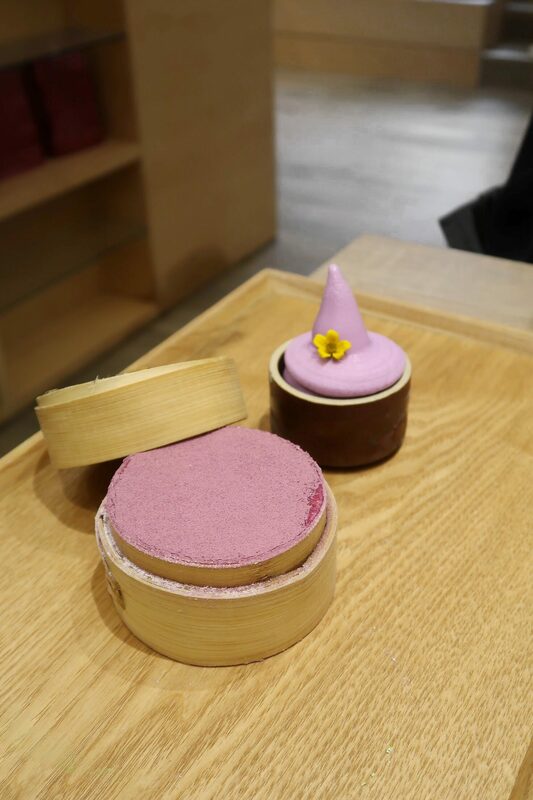 They also have it in green tea option too. 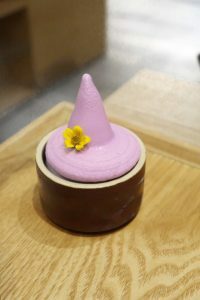 Aside from the tiramisu, I recommend trying the purple yam soft serve too! 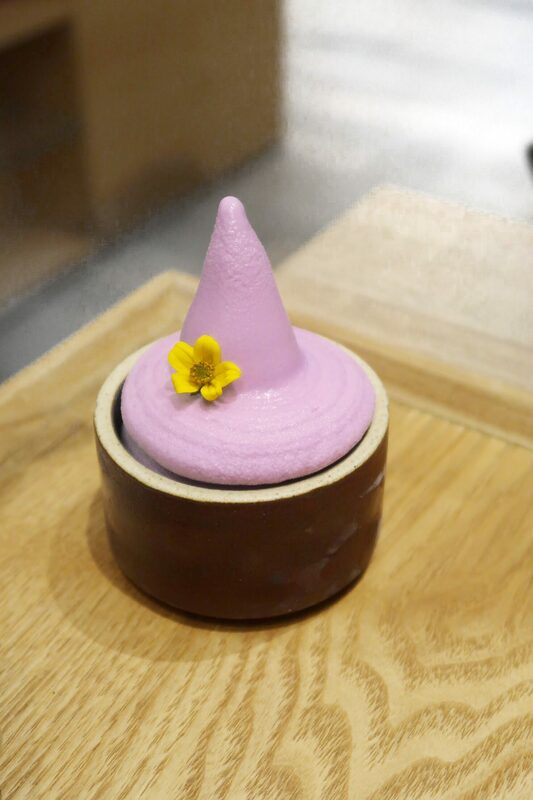 Not only does it have such a pretty lilac purple colour with a neat touch of a flower, the natural and elegant flavour from the purple yam that combined with milk really surprised me~ Unlike some matcha soft serve that usually has a punch of matcha, this purple sweet potato flavour was really subtle and smooth. It was hard for me to pick whether to get the milk soft serve or the purple sweet yam, but it would be pretty cool if they had a mixed option of both flavours. 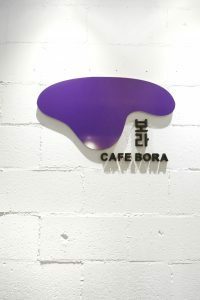 The overall vibe of this cafe is super cozy and relaxing with the clean wooden decor and light music. 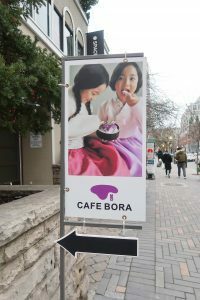 I’m for sure coming back here again in the summer to try their Purple Bingsoo (shaved ice).